Letter-join contains a huge amount of handwriting resources including interactive features for IWBs, PCs and tablets as well as worksheets that use your pre-selected letterforms. 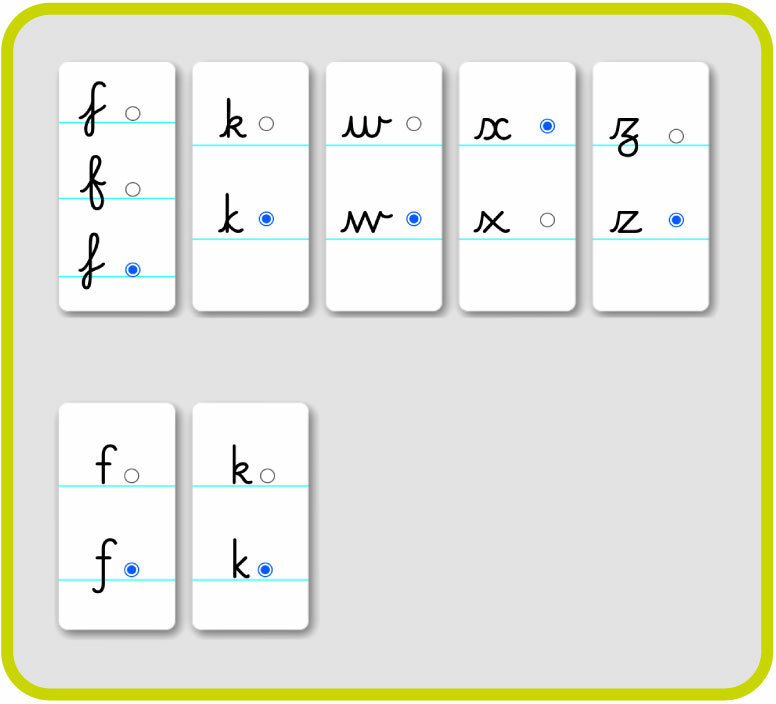 Letter-join's cursive fonts are also included in school subscriptions. 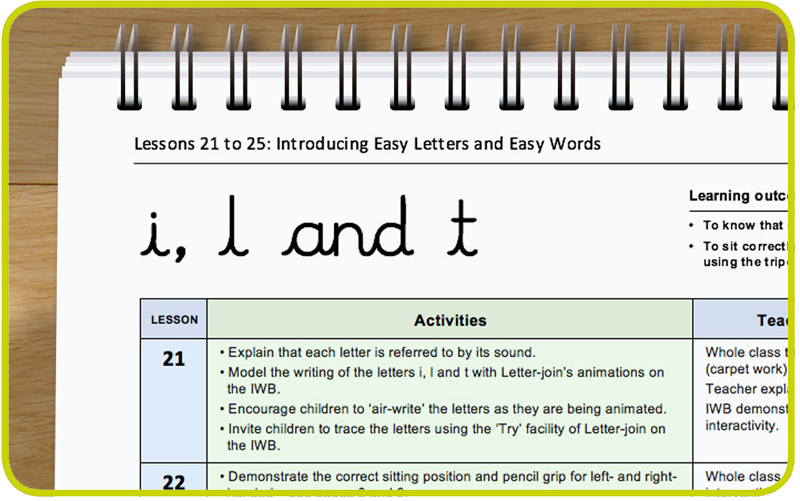 Letter-join is ideally suited for displaying on IWBs for whole class teaching. The web site is easy to use with all resources easily accessible: animations, IWB tracing activities and access to all of the worksheets. Letter-join includes animations of all the letters of the alphabet with a spoken commentary on how to write each letter. Patterns, Letters and Words can all be watched and traced on-screen. 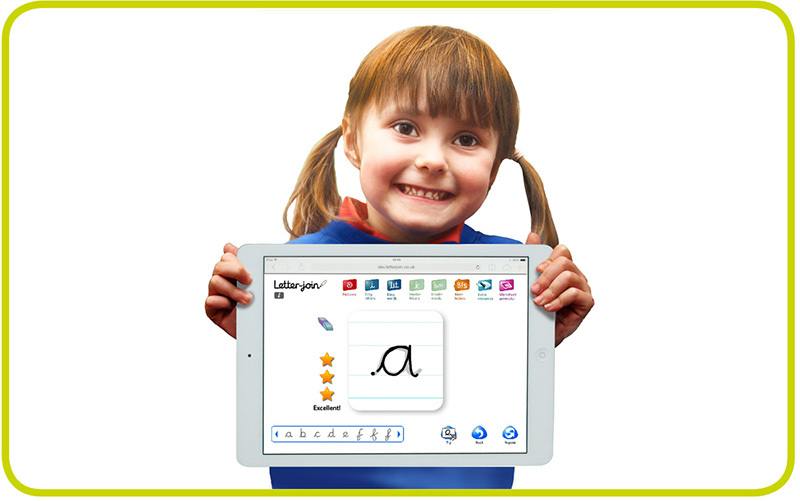 Magic Words lets you trace over your own words on a number of exciting backgrounds and Custom Words lets you input your own words, replay the video and trace over the words for IWB practice. Letter-join's Handwriting Lesson Planners are designed to help guide teachers and their assistants to teach continuous cursive handwriting with lead-in and lead-out lines using a systematic method. The Lesson Planners can be downloaded by subscribing schools by logging into a Classroom account and choosing the 'Info' button. 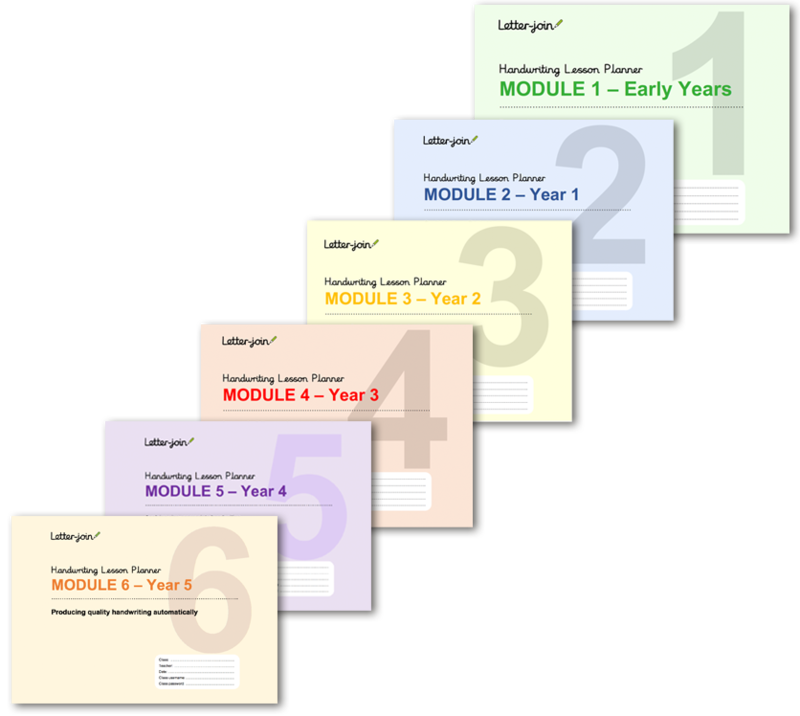 There are currently 6 modules from EYFS through to year 5 with Modules 7 currently in production. Module 1 covers pre-cursive patterns and continuous cursive, lower case letters with lead-in and lead-out lines. 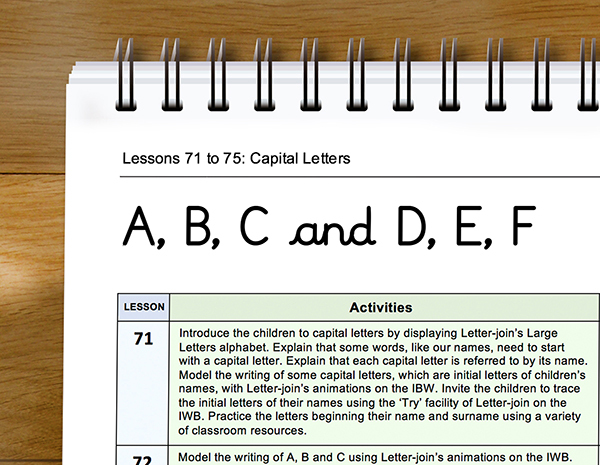 At the end of this module children should be able to form and join all lowercase letters. Module 2 is for teaching how to write capital letters, printed letters, numbers and symbols using Letter-join’s on-line and printed resources. 90 lessons to improve letter formation and orientation of letters through regular practice and to support spelling, grammar and punctuation in readiness for KS1 SATs. 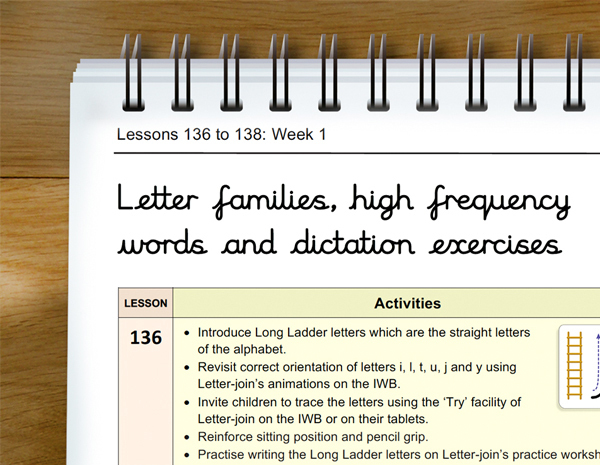 60 lessons to improve legibility, consistency and quality of handwriting. 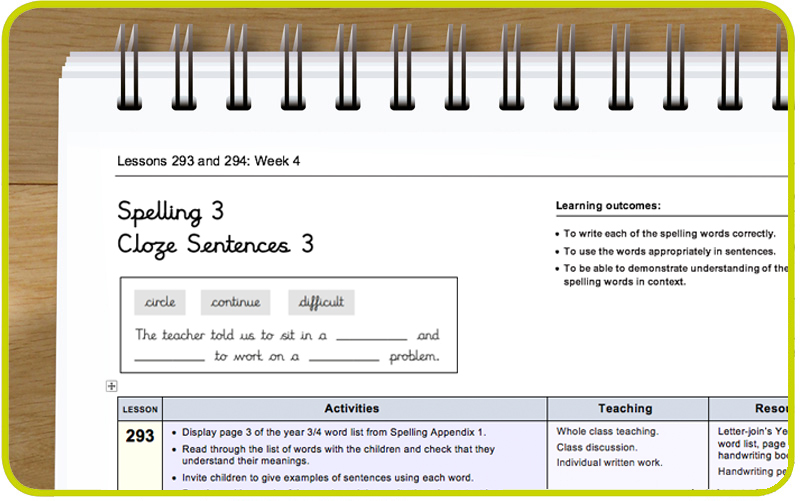 Module 5 focuses on using handwriting practice to support other subjects in the curriculum and, at the same time, builds on fluency and consistency. Learners will continue to build on producing fluent, consistent and legible handwriting through the regular practice offered in this module’s lessons. By the end of this module, children should be well prepared to aim for the handwriting quality, speed and stamina required in upper KS2. Module 6 continues to build on combining fluent handwriting with other subjects across the curriculum. By the end of this module, children should be producing cursive writing automatically, enabling them to focus on the content of their work rather than the process of writing. 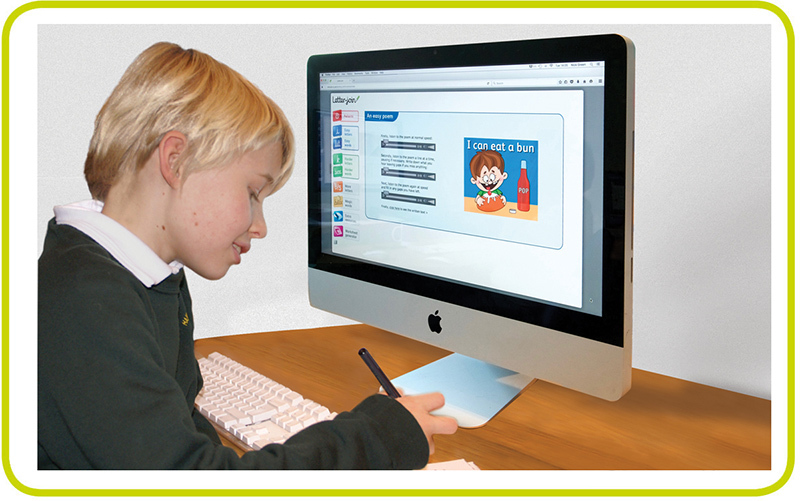 Included with every School Subscription is access to Letter-join for pupils at home. A simple log-in allows pupils and their parents to access the Letter-join web site on their PCs and tablets. This is particularly good for new joiners where parents might be unfamiliar with cursive handwriting. 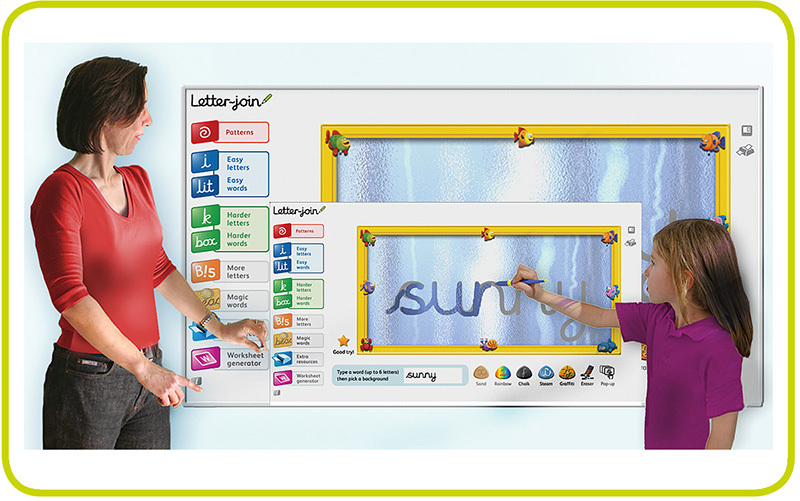 All of Letter-join’s resources are available at home including the worksheet generator, Magic Words and Custom Words. School staff can create homework sheets, newsletters, posters, displays and labels in MS Word using the six Letter-join cursive and printed fonts. The fonts can also be used for the Worksheet Generator, Magic Words and the Word Animator. 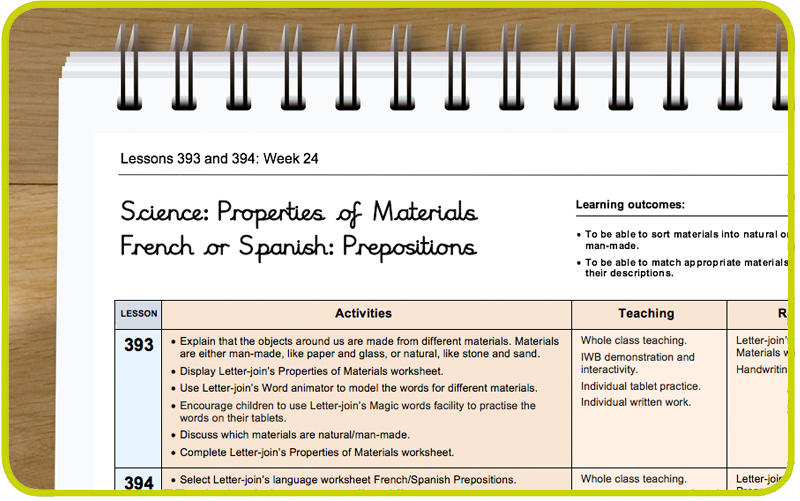 Please note that the cursive worksheets in the Resources section use the font with a lead-in line. Letter-join offers a choice of alternative letterforms for the letters f, k, w, x and z. Your choices will be used across all of the resources. 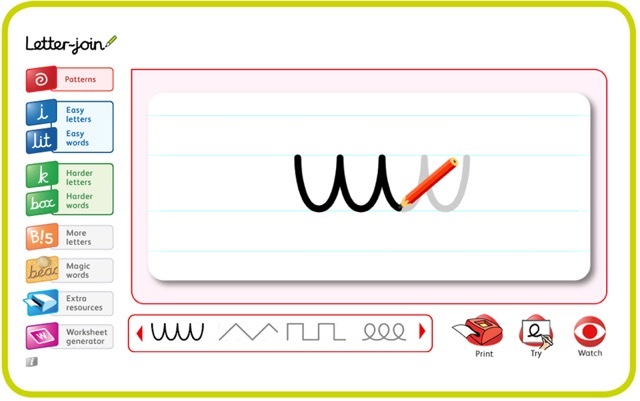 These include animations of cursive letters and words with associated worksheets, Magic Words, Word Animator, Worksheet Generator and the Letter-join fonts. 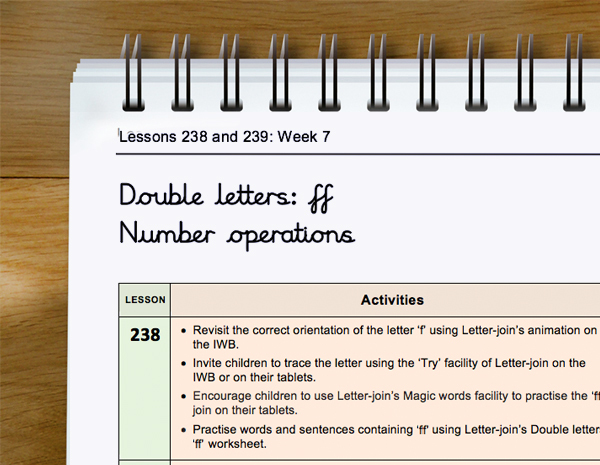 Letter-join contains a large variety of worksheets and printouts in PDF format to help with learning and practising handwriting. These will all use your school’s preferred letterforms for cursive f, k, w, x and z. The Word Animator is a great new resource allowing teachers to create word animations using Letter-join’s cursive font. Custom words can be traced, saved to a classroom word bank, replayed and practised by pupils on IWBs. You can now practice the correct way to write any word! To help get schools started we send all classroom teachers our 44-page guide to using Letter-join. It has all the information you need on managing your classroom accounts and ideas and suggestions for each of the Key Stages as well as a full list of Letter-join's resources. 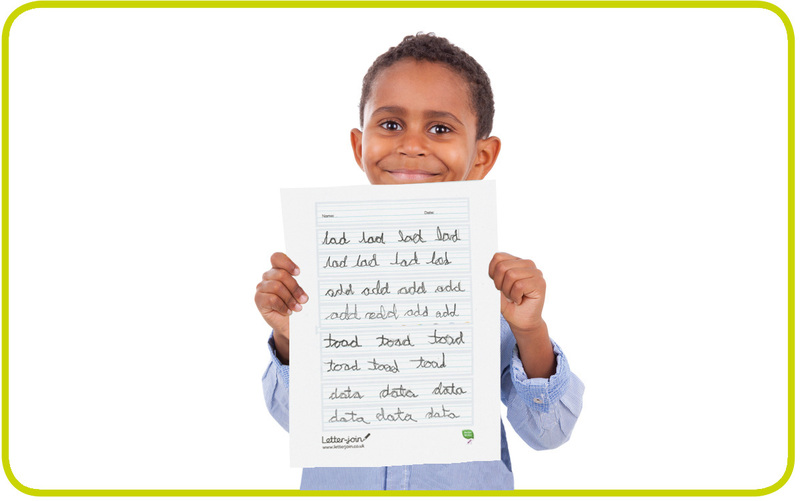 A series of fun dictation exercises covering Years 1 and 2 common exception and high frequency words. There are 12 lists of spoken sentences which each lead on to a spoken paragraph using the same words. Letter-join includes a curriculum-based handwriting policy. It is supplied in MS Word format to school subscribers and can be easily edited to quickly produce a personalised handwriting policy for your school.